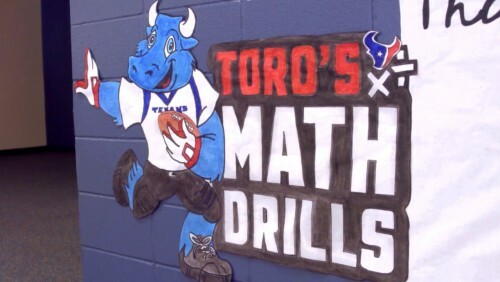 TORO’s Math Drills is an educational video series designed to help third and fourth grade students tackle fractions, multiplication, division, place value and money through exciting football examples. 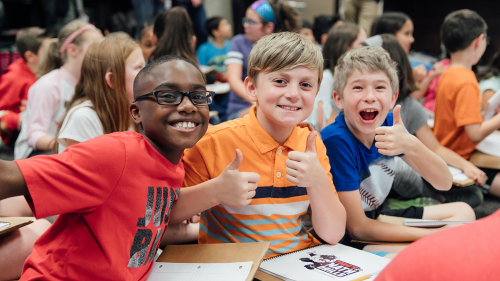 In the 2017–2018 school year, nearly 1,500 teachers and 73,000 students from 14 states took part in the program. 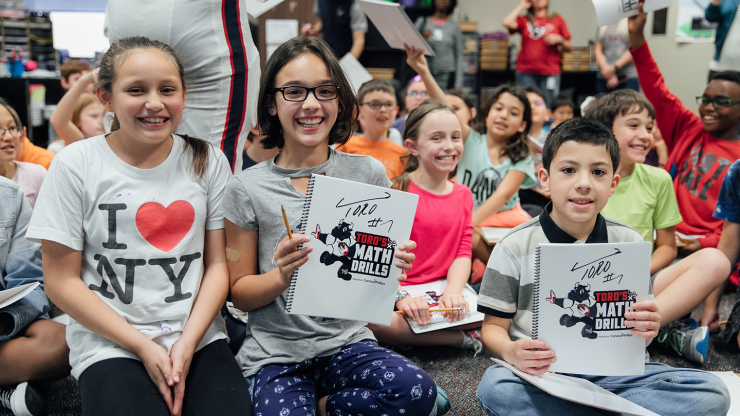 TORO’s Math Drills is a free resource for third and fourth grade teachers. The program consists of six short (less than five-minute) videos that can be used to introduce or reinforce critical math concepts. 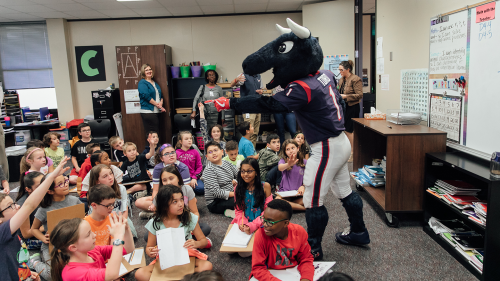 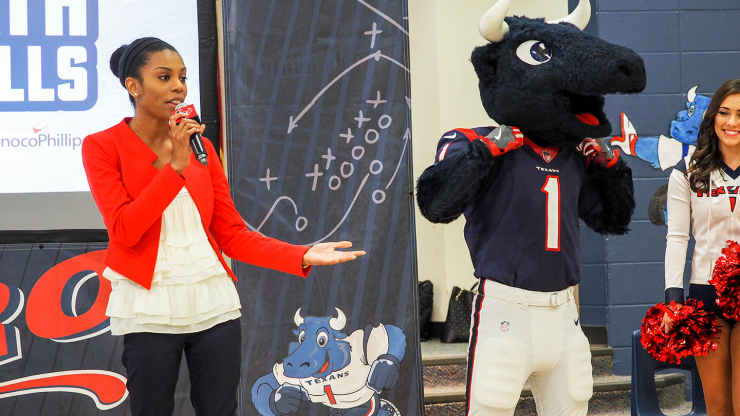 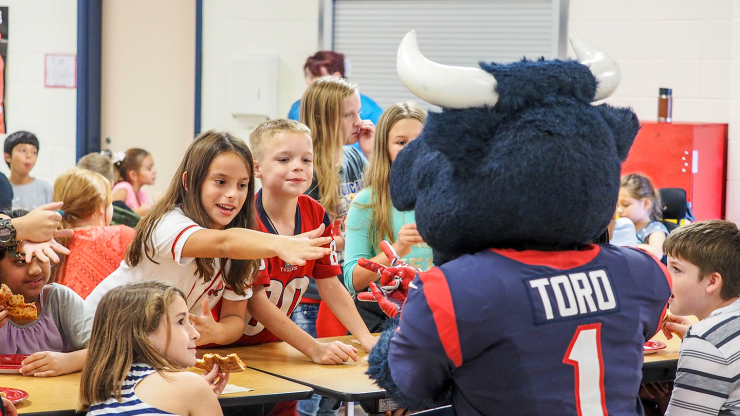 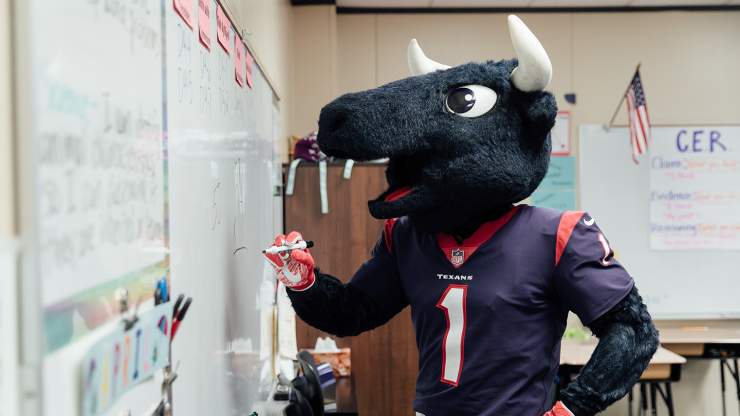 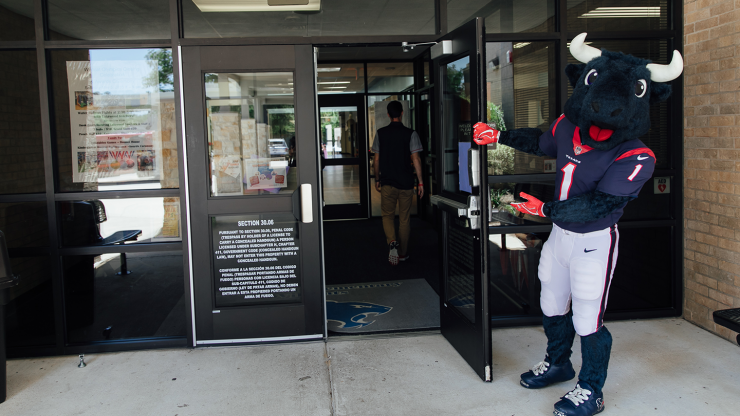 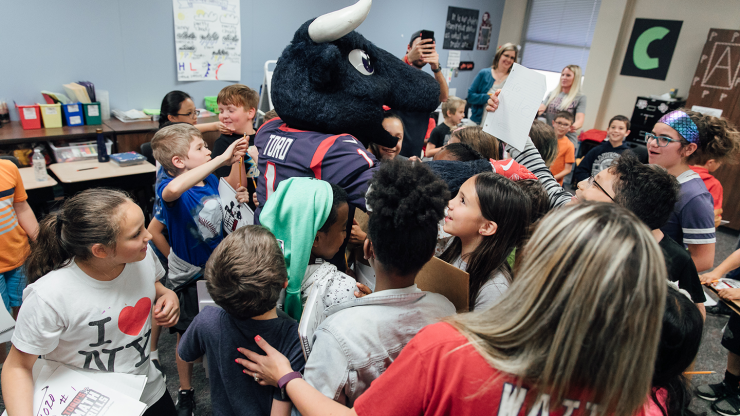 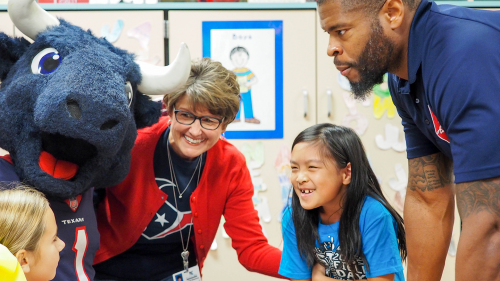 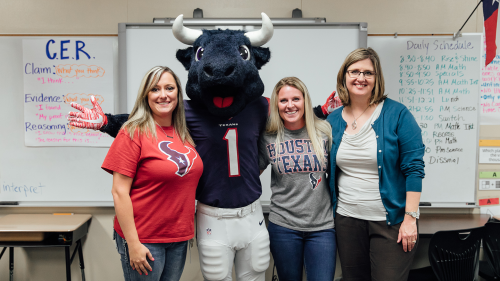 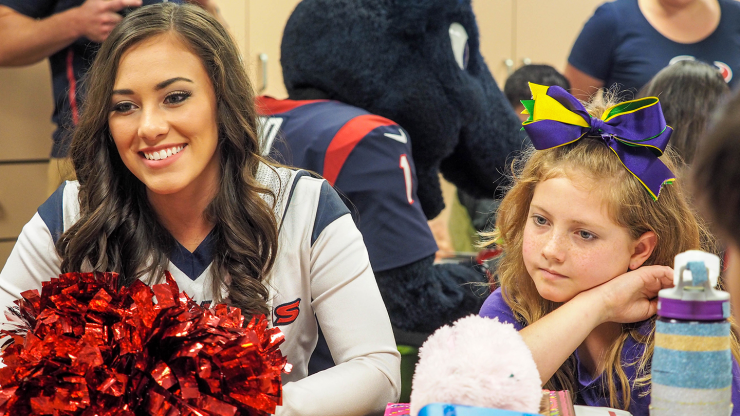 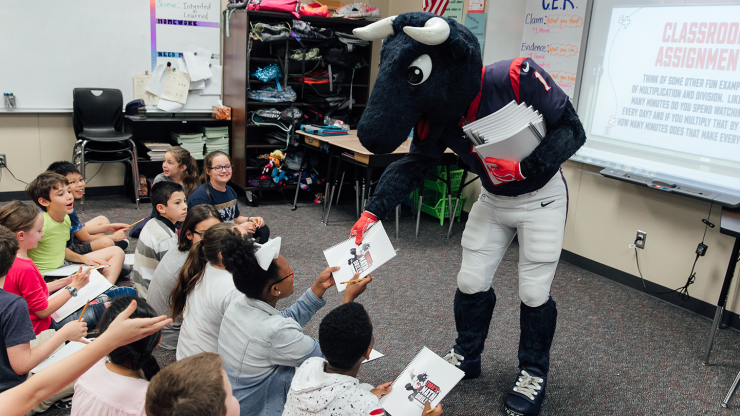 The content is Texas Essential Knowledge and Skills (TEKS)-aligned and features TORO, the Houston Texans mascot, and other Houston Texans celebrities ready to help students build their math skills. 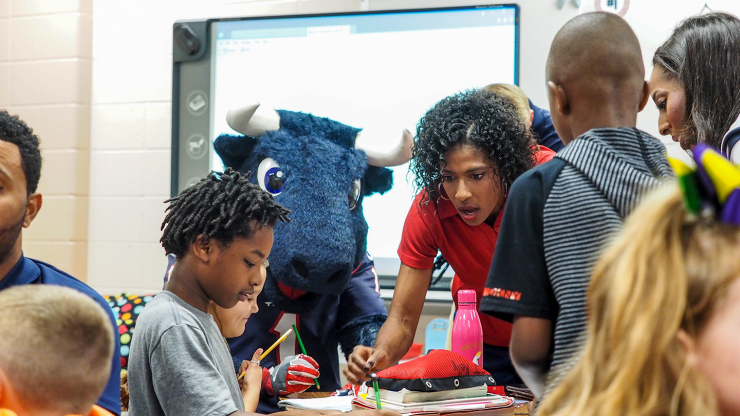 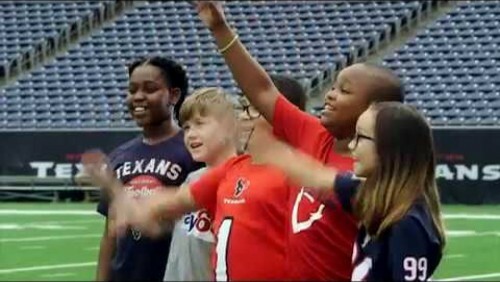 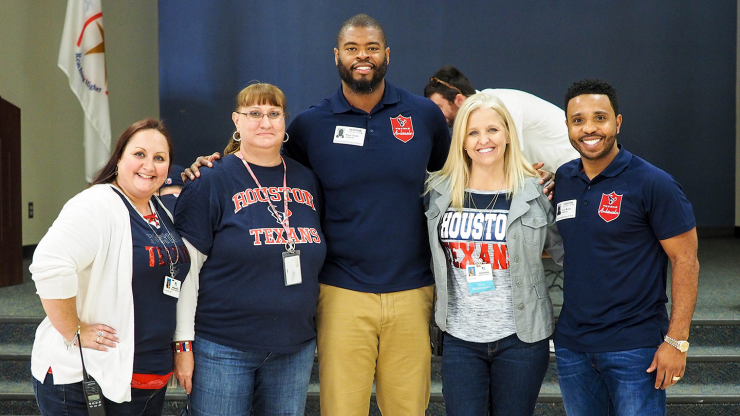 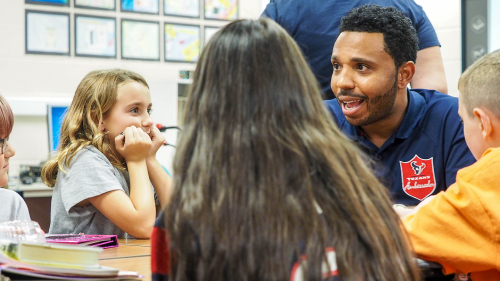 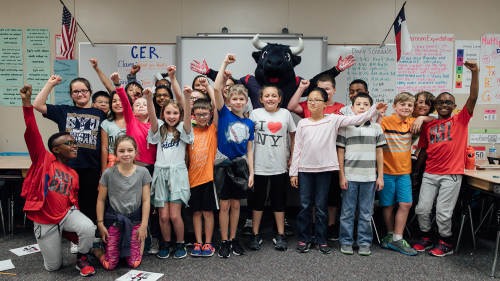 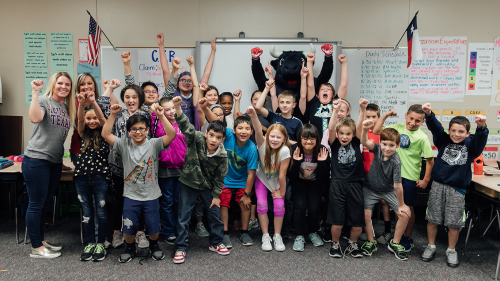 TORO’s Math Drills presented by ConocoPhillips was developed in collaboration with the Houston Texans and our education partner, the United Way of Greater Houston. 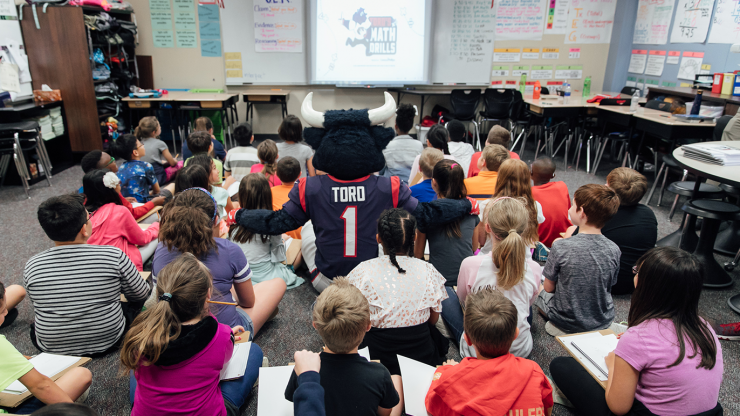 Teachers, sign up today to put your students through TORO’s Math Drills!